Looking for a new, fantastic blogger templates? There are a lot of blogger templates on the internet that you can search with Mr. Google but here I shortlist the most often I refer when I am to search for a new blogger templates. 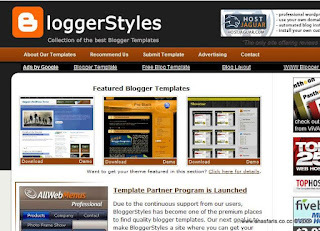 BloggerStyles - This website updates new blogger templates very often and it divides into three groups: Gold Template, Silver Template and Bronze Template. WP Blogger Themes - The blog looks simple, but it contents fantastic blogger templates converted from wordpress. Some of them could not be found from other sites. Falconhive - A new quality templates resource for Blogger. It contains lots of beautiful Blogger templates converted from Wordpress themes. eblogtemplates - One of the largest free blog template provider sharing top-notch blog designs. Their blogging community scours the web looking for the best free blog templates and compiles them here. ThemeLib - Contains lots of beautiful themes that have been converted to Blogger from WP, including the most popular theme called Arthemia. 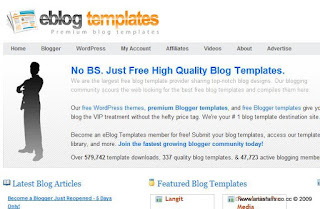 All in all, Blogger Buster, the blog which is known as the best blog about blogging, has just posted 101 Awesome Free Blogger Templates a week ago. A lot of awesome blogger templates there! @everjihad boleh2. kne auota sikit je tuh. nti aku ym.